There’s something quaintly magical about The Morning Yells’ latest release: With a warm, easy feeling and dreamy three-part harmonies, “She Knows Exactly What She’s Doing” is a breathtakingly sweet folk rock ballad. 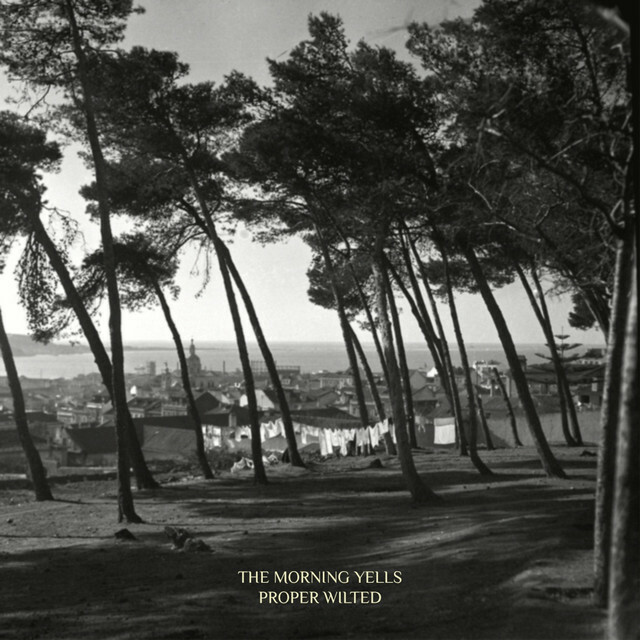 Atwood Magazine is proud to be premiering the in-studio video for “She Knows Exactly What She’s Doing,” off The Morning Yells’ recently-released EP Proper Wilted (out 10/6/2017 via Golden Boy Records). The Los Angeles-based four-piece of siblings Laura Stancil and Phil​ ​Stancil and fellow multi-instrumentalists Curran McDowell and Trevor Smith, The Morning Yells self-identify as an Americana indie rock band. Their music is enchantingly diverse: Proper Wilted channels the sounds and textures of such ’60s and ’70s legends as Fleetwood Mac, The Eagles, Crosby Stills and Nash, and more. “She Knows Exactly What She’s Doing” (or “What She’s Doing” for short) is a balancing act of folk and country influence, its many layers offering a colorfully vivid listening experience. The band’s perfectly-coordinated harmonies evoke feelings of hope and possibility, passion and potential as they sing about someone who can’t be tamed or controlled; someone who stride with confidence and grace. The in-studio video for “What She’s Doing” provides spectacular insight into the band’s dynamic. “Our friend Chris Phelps stopped by Station House Studio one day during the recording of our EP to take some footage of the process,” Phil shares. “We happened to be working on “She Know Exactly What She’s Doing”, which was the only song we actually ran live together in one room. In this respect, this song proved the best option to get us recording together. We were on a pretty tight schedule that day, and Phelps was only able to get us doing a few takes. It was literally about 20 minutes between him coming into the studio, setting up, and running it, and then leaving so we could carry on with the task at hand. With the help of editor Vanessa Yuille, they were able to take that 20 minutes and turn it into something special.” Stancil’s explanation feels like an almost sheepish admission, but the fact that this piece is the result of short work speaks to The Morning Yells’ talents. Laura Stancil notes the inclusion of 12-string guitars, a Nashville high strung and a lap steel in the final studio edit. Everything flows perfectly together to create a poignant, dynamic exercise in melody and harmony. The Morning Yells may adapt sounds from decades past, but the fact that this is a young band on the rise makes “She Knows Exactly What She’s Doing” and the rest of Proper Wilted all the more exciting: Their voices are fresh and full of potential. Prepare to be swept off your feet with the beautiful music of The Morning Yells, exclusively on Atwood Magazine!